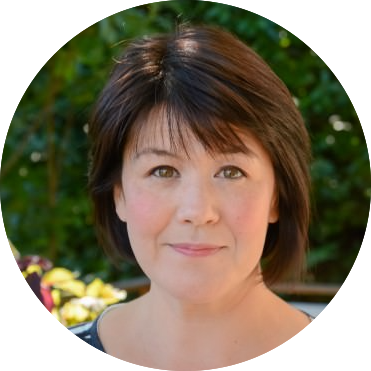 Do you know what’s in the back of your pantry? Are you scared to even find out? Yeah, me too. But today I faced those fears and discovered that cleaning our my pantry was easier than I thought and saved me over $100.00 this week at the grocery. Here are 4 easy steps to get your pantry into ship shape. 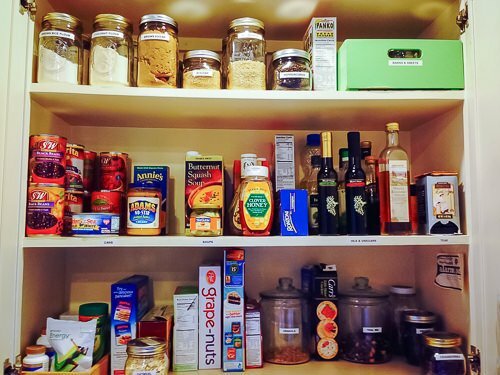 The first step in cleaning up your pantry is to take everything out and sort it into categories. If you have two open bags of brown rice for example, marry them together into one. 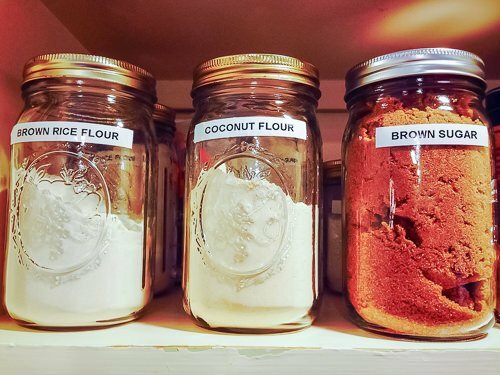 This will cut down on clutter in your pantry and help you use what you have before buying more. Once you get everything into categories look through it all and ask yourself what you use and what you don’t. It’s kinda like cleaning out your closet. If you haven’t used it in the last year you might not ever use it. Throw away expired items and donate unused items you don’t think you will use to a shelter or food bank. When you start putting everything back on the shelves use clear jars or containers to store your sugars, flours, grains and cereals. I hate a bunch of opened bags and baggies in my pantry. It clutters it up and makes it hard to see how much I have. Clear containers create a nice uniform look to your pantry and will keep your food better longer. Remember to put your food back in your pantry in the categories you just sorted them. Put all your olive oils together, your pastas together, your breakfast items together. This helps you know if you have another jar of something before buying more at the store. 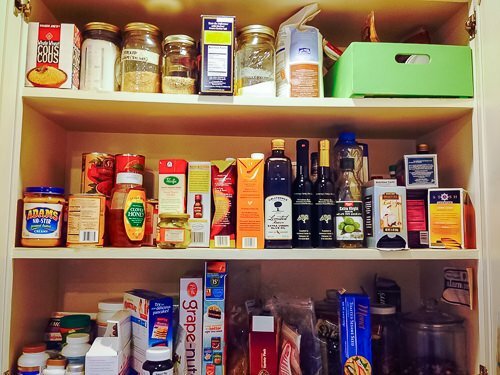 Put the things you don’t use everyday on a higher shelf and make sure you can see to the back of your pantry by putting smaller items up front and taller, larger items towards the back. Doing this will show you what food you already have that you can use in your meal planning this week, saving you lots of time and money!! !